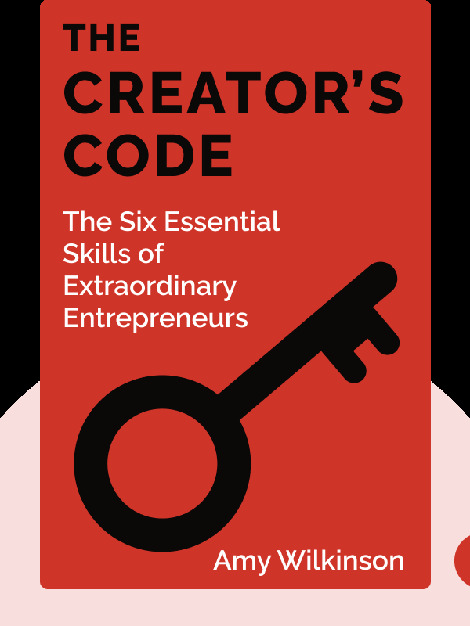 The Creator’s Code (2015) unlocks the essential skills needed to take a big idea and turn it into a successful company. Drawn from 200 interviews with dozens of leading entrepreneurs, including the founders of LinkedIn, eBay, Tesla Motors, Airbnb, PayPal, JetBlue and others, this book will help you better see what areas you need to address to turn your passion into tomorrow’s market leader. 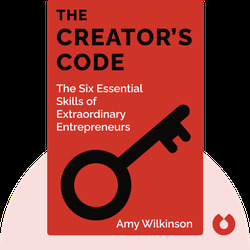 Amy Wilkinson is a strategic adviser, entrepreneur and lecturer at the Stanford Graduate School of Business. She has worked at consultancy McKinsey & Company and investment company J.P. Morgan, and has served as a White House fellow and special assistant to the U.S. Trade Representative.